A couple of weeks ago we went picked fresh Michigan blueberries. I was able to squeeze in a little time for a couple of recipes before I froze over 15 pounds. Freezing blueberries is so simple because you can just freeze in a air tight container like plastic freezer bags or freezer containers. I used a little bit of both and froze in half cup portions to two cup portions. When we came home from our trip to Michigan, we had a couple of bananas that were super ripe so I thought it was possible we could use these bananas with the blueberries in a recipe. This recipe was delicious and used ingredients we had on hand, which is also nice especially when coming home from a vacation. In a separate bowl, combine the sugar, oil, egg, mashed banana, and vanilla. Slowly add the dry mixture with the wet mixture. Bake for around 50 minutes in a loaf pan. 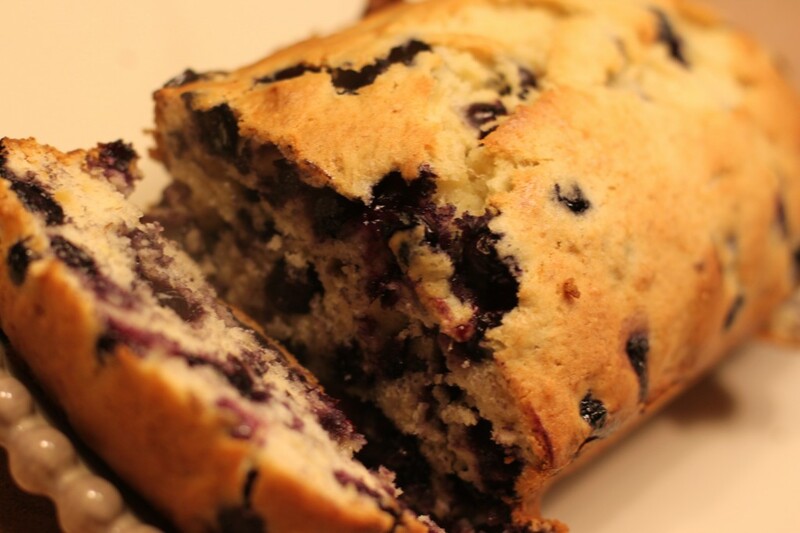 Your blueberry banana bread looks very yummy! Might try this recipe this coming weekend. Thanks so much for sharing.